Early last month I started growing oysters off of the dock at the house on Antipoison Creek. The oysters came out as seed from Oyster Seed Holdings, LLC, a hatchery on Gwynn’s Island, Virginia, and were raised by a third party, Oyster Mama’s Bay-Bies, until they reached the size of a quarter. I have 300 oysters growing in a bag inside of an oyster float off of the dock. 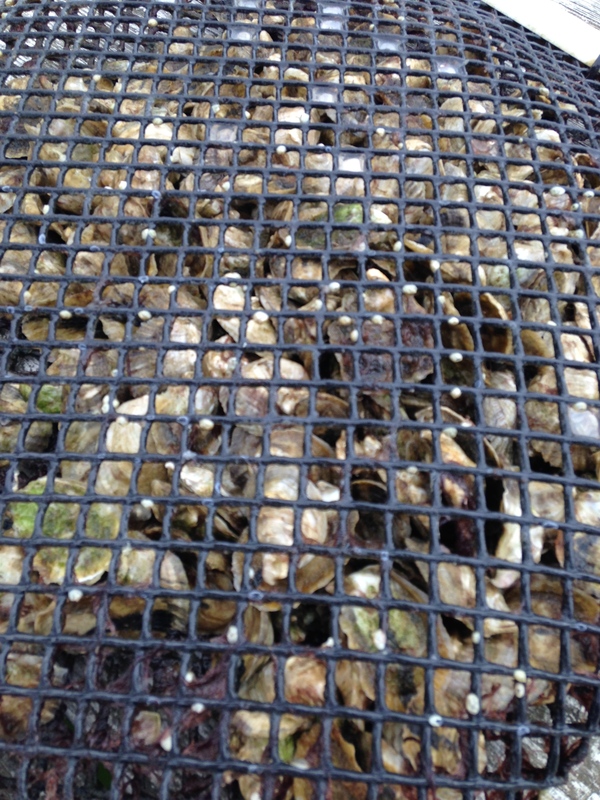 The oysters will stay in the bag until they grow big enough to float in the cage by themselves. Oyster gardening is pretty low maintenance. The cage and bag need to come out of the water every week or two to be cleaned. The cage needs to be checked just as often to make sure no predators, like blue crabs, are inside, eating the oysters. 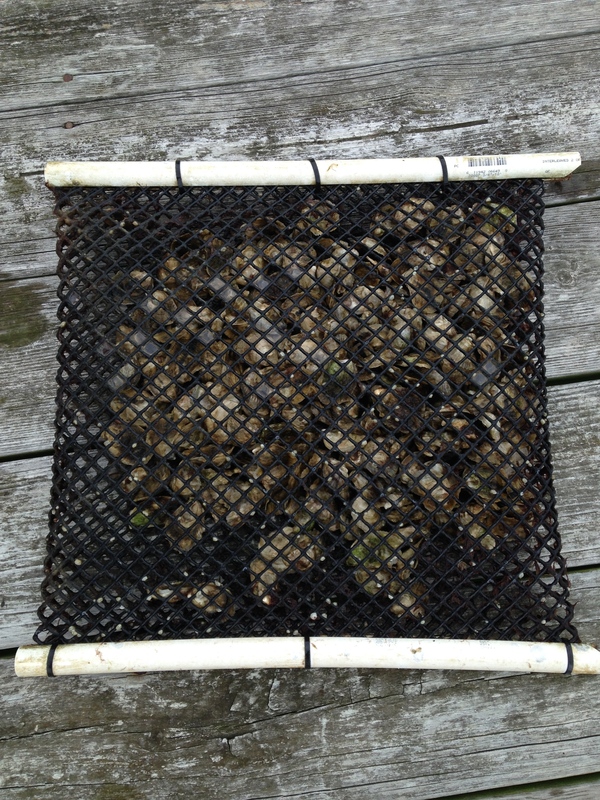 The oysters will go dormant over the late fall and winter as the water temperatures drop. This batch will be ready for eating hopefully by early next fall, when they grow to be at least 3 inches long. (I have triploid oysters, which usually reach maturity in 18 to 24 months.) 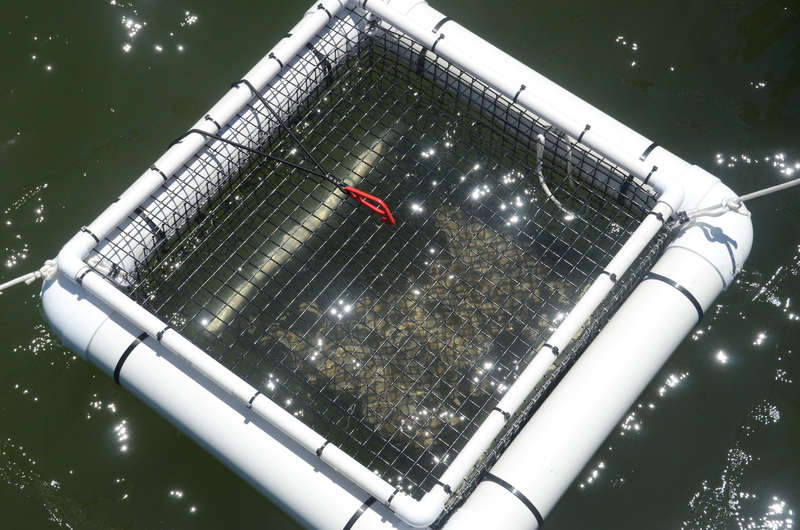 Until then, the oysters are doing their part to clean the Chesapeake Bay- each one filters up to 50 gallons of water a day! This entry was posted in Oysters and tagged Chesapeake Bay, Oyster Garden, Virginia.